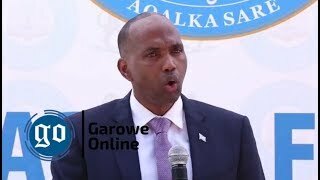 HARGEISA, Somaliland - A Fist fight broke out Tuesday in the parliament of the northern self-declared state of Somaliland, as MPs are in deadlock over the election of a new speaker, Garowe Online reports. The newly speaker of house representative Bashe Mohamed Farah, and a lawmaker were reported to have sustained slight wounds during the mass brawl erupted inside the Somaliland Parliament. Reports indicated that multiple gunshots were heard in the hall, as security guards of some MPs fired into the air, before security forces entered into the building, and intervened the standoff situation. 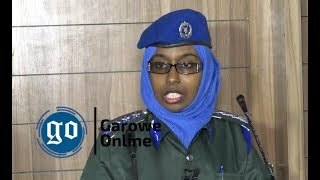 Subsequently, the troops have arrested several MPs, including Saleeban Ali Koor for engaging fist fight with the speaker, according to Somaliland's Minister of Interior Yasin Hajji Mohamud Hiir (Faraton). 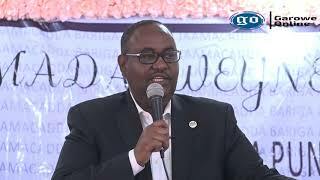 The Scuffles started, after Abdirahman Mohamed Mohamud (Talyanle), a parliamentarian from WADDANI, opposition party has announced that he is the winner of the election of speaker in Sunday, 6th August. Mohamud boycotted the election of Bashe Mohamed Farah who is a member of the ruling KULMIYE party as the new speaker of house of representative, saying the vote has been unfair and rigged. Farah - former first deputy speaker won in a narrow victory of 39 votes against his contender, Talyanale who secured 38 votes. 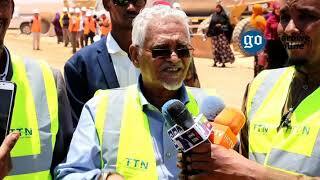 The election was held after the resignation of former speaker Abdirahman "Irro". 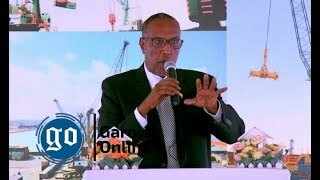 In September, 2015, the newly elected speaker Farah and his predecessor Irro have engaged in brawl during an argument over a vote by the Parliament on the privatization of Berbera Oil terminal. 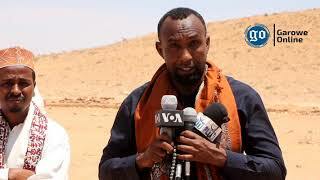 Irro who is still a member of Parliament has left office after nearly 12 years in power, to run for presidency in the upcoming election due to be held next November 13 as he is the flag bearer of his WADDANI party, facing stiff contest from KULMIYE and UCID parties candidates.